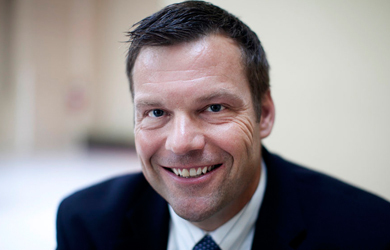 Kansas Secretary of State and on-and-off Mitt Romney adviser Kris Kobach yesterday appeared on Secure Freedom Radio, where actor and former Congressman Fred Grandy filled in for Frank Gaffney to discuss the Republican Party Platform Committee’s adoption of an anti-Sharia plank. Kobach cited a new Kansas law combating the fictional and manufactured threat of Sharia as a reason the Republican Party Platform Committee endorsed his anti-Sharia proposal, telling Grandy that the “unequivocal intent” of the committee’s decision was to encourage other states to “take a firm stand against Sharia law.” He later said that politicians across the country will point to the national party platform and say, ‘hey look, this is part of our national platform, this is not some unheard of or imaginary threat, this is part of the national Republican Party platform.’ Unfortunately for Kobach, just because the GOP embraced anti-Sharia conspiracies in its platform, that doesn’t make the threat of “creeping Sharia” any less imaginary. Grandy: Is this a way of saying through the Republican Party organs that perhaps these kinds of Kansas-like provisions should be introduced at the state level around the country? Kobach: Absolutely, that is the unequivocal intent and I don’t think anyone reading out platform cold come to any other conclusion. 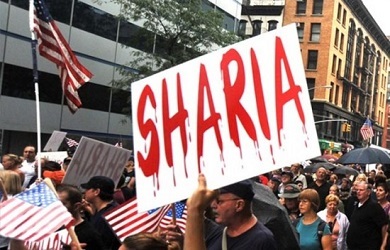 We’d like to see all of the states take a firm stand against Sharia law being used in their courts. Grandy: I would have to say that particularly for those states where you have Republican dominated legislatures that have been somewhat reluctant to even consider this, or as in the case of Kansas had some pushback from some different minded Republicans, this is a terribly encouraging step. Because if the Republican Party nationally can say ‘no foreign laws in foreign courts’ particularly at the state level, because the point you make about it obviously being a threat from the top-down with the U.S. Supreme Court, but we also have to be mindful of the threat bottom-up at the state level, is something that I think enhances those of us that are trying to advance this initiative around the country in legislatures that up to this point have not been receptive. Kobach: I hope so and I think it will allow state legislators who are trying to move similar legislation like Kansas’s and other states, they can point to the national party platform and say, ‘hey look, this is part of our national platform, this is not some unheard of or imaginary threat, this is part of the national Republican Party platform,’ and hopefully that will help assuage concerns that some of the more wobbly Republicans might have.